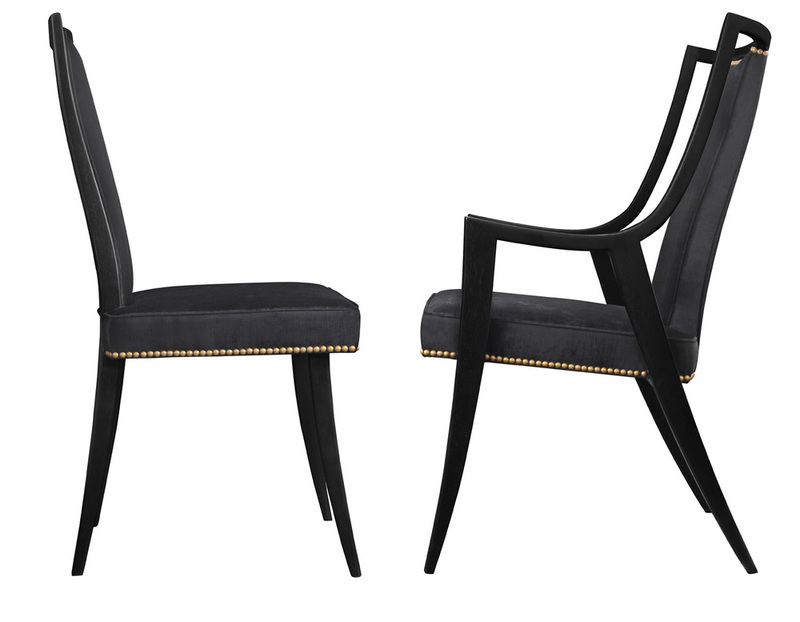 Set of 8 "Classic" dining chairs, model numbers 1055 and 1055A in ebonized mahogany with upholstered seats and back rests by Harvey Probber, American, 1950s. 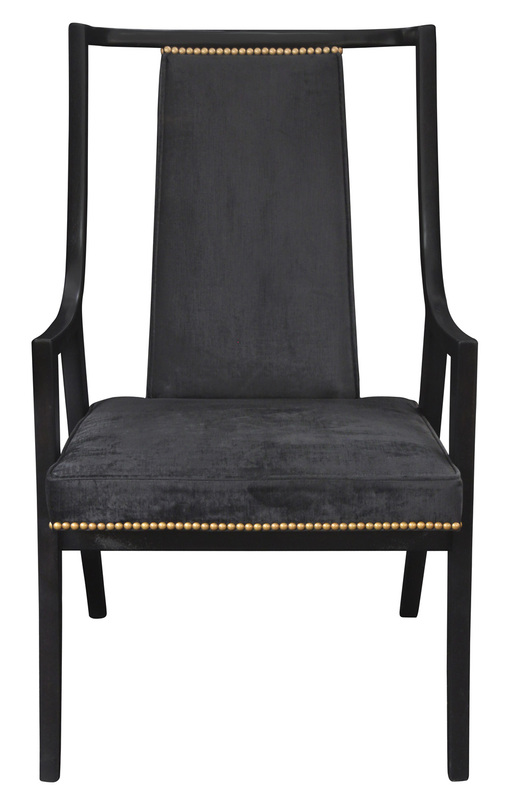 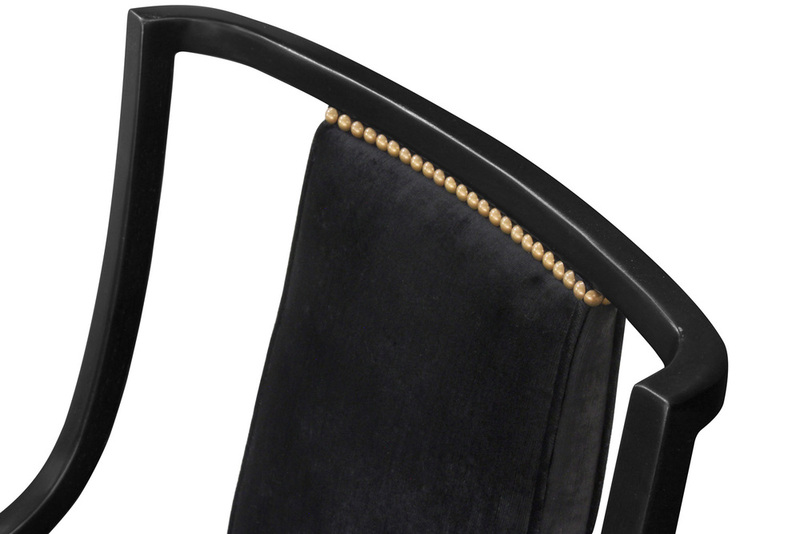 These chairs are newly finished and re-upholstered in black velvet with brass nail heads. 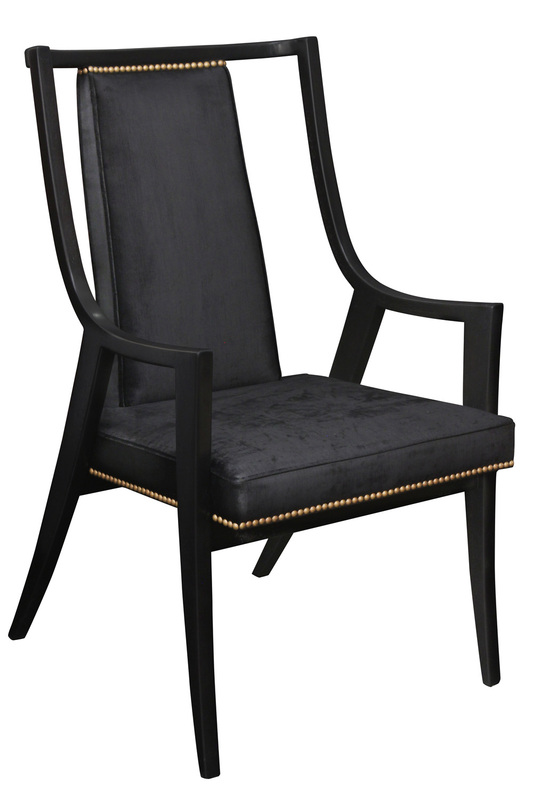 This is considered one of Harvey Probber's most important chair designs. 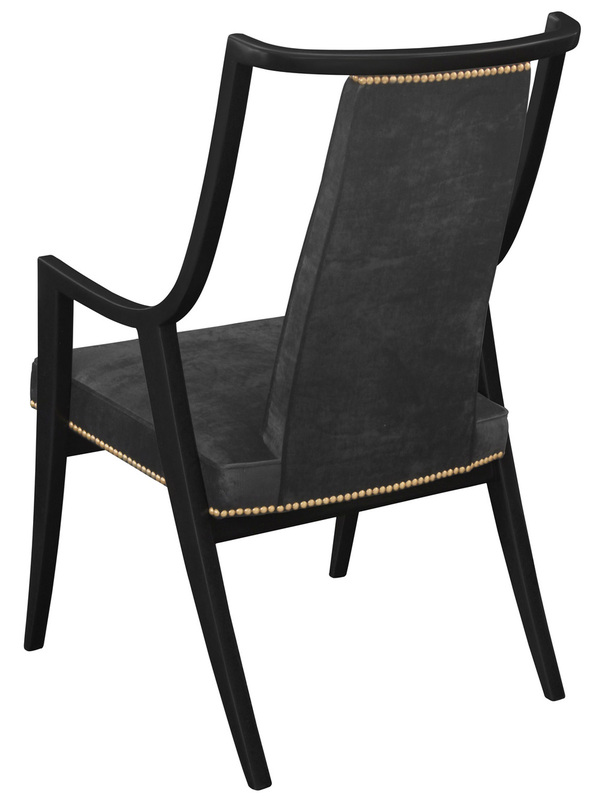 The gentle curve of the back makes these very form fitting and comfortable.